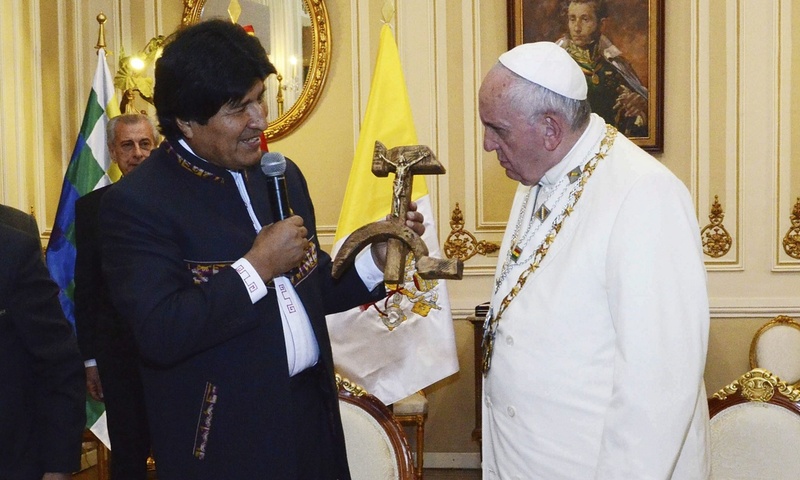 The crucifix was modelled on one owned by Luís Espinal, a Jesuit priest, journalist and leftwing activist who was murdered by paramilitaries in 1980, when Bolivia was under a dictatorship. Communism and Christianity seem to go perfectly together to me. Matthew 6:24 - "No one can serve two masters. For you will hate one and love the other; you will be devoted to one and despise the other. You cannot serve both God and wealth." I'm a secular capitalist so take my words with a pinch of salt.